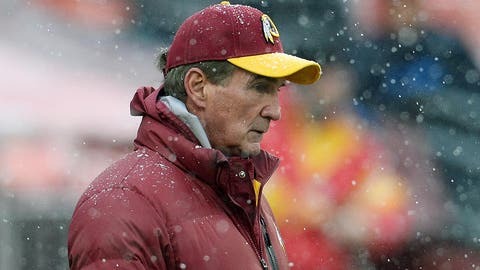 Should Mike Shanahan start packing his bags? The Redskins are mired in a five-game losing streak and have won just three games all season. Well, on Sunday, the team probably hit its lowest point in recent memory, as they fell behind by 28 points at halftime to the visiting Kansas City Chiefs. They ended up losing 45-10.